Core Acting Technique is a dynamic, structured, 10-week class designed to fortify and deepen the skills that go into brilliant acting while stretching students as artists and as human beings. The artist and the art grow in tandem and Art & Soul Acting supports that process through a series of specialized exercises that go way beyond the ABC’s of acting. This powerful classroom work allows students to grow at a rapid pace while creating an acting foundation that will serve for a lifetime. During one of my Core Acting Technique 10-week classes, I needed an even number of students for scene work and asked a good friend, who is a professional actor, if she would do me the favor of joining the class. She willingly agreed. Being new to NYC, this was the first time she had the opportunity to experience my teaching in depth. For several weeks she joined in with the students as I taught a series of acting tools – acting tools she had never encountered during her own studies. Somewhere around the 6th class, I began noticing that the students were integrating these acting tools at an accelerated pace…as often happens. For anyone who is a serious actor, the study of acting is a lifetime pursuit. However, there are ways of learning that are more beneficial to the actor and ways of learning that are less beneficial. 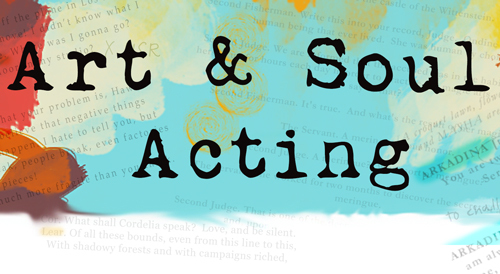 The techniques that are taught at Art & Soul Acting allow students to quickly and powerfully access the essential building blocks of truthful acting. Combined with a willingness to explore, practice, and the growth mindset, students are able to make progress rapidly. These unparalleled techniques form the foundation of a lifetime of effective acting. This is not a sit in your seat lecture. Students are up on their feet working in every class in a supportive environment that allows them to really take risks and fly. Week #1 SETTING THE FOUNDATION: How to get ready to act. You’ll learn how to become more grounded and focused by tapping into the kind of life and energy that ultimately drives the actor’s text in all dramatic forms. Week #2 ACTION Part I: The information you’ll learn in this class will bring you deep into the heart of what it’s really like to act with focus and intent. Week #3 GIVEN CIRCUMSTANCES: You’ll learn how to decipher the text like a detective. These key components are not random, but provide the necessary clues from the writer that will ultimately strengthen your acting. 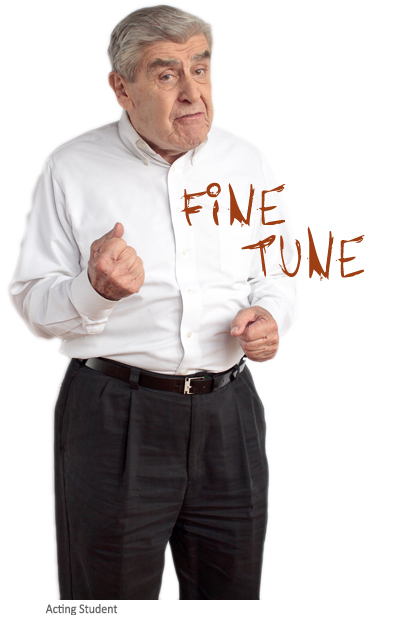 Week #4 SUB-PERSONALITY EXPLORATION: You’ll learn as an actor how to bypass your conscious, critical mind to derive phenomenal results from the text at hand. This process allows you to transcend what you consciously know about your role or character and tap into a field of life and expression that often lives off the radar. Week #5 CREATING RELATIONSHIPS: In this class, you’ll learn a riveting process that will enable you to form a rich and full relationship with your scene partner. This is a class favorite. Week #6 ACTIONS Part II: In this session, you’ll learn even more specifically how to embody the actions that drive the story. Week #7 CREATING THE CHARACTER’S SPACE: You’ll be given step-by-step instructions on how to create a rich environment in which your character will flourish. Week #8 PRESENCE: You’ll learn the value of being in the moment through this powerful piece of partner work. Week #9 FOCUS: You’ll test and strengthen your abilities to work single-mindedly as an actor while still being in the flow of the present moment. Class size is kept small so that participants have time to be up on their feet working, making mistakes, learning from their mistakes and growing into ever more powerful actors. Who would benefit from taking this class? Beginning Actors: For beginning actors, this class presents acting technique logically and progressively. Each week builds on the last and connects to the next. It will allow you to dip your toes in and understand what goes into truthful and powerful acting on an experiential level. Actors with a Moderate Amount of Experience: This class is laid out such that you will be able to join your prior experience with what are likely to be a different set of techniques. If you feel that there are gaps in your education, this class will help you greatly in bridging them. By the end of the class, you will feel much more confident in terms of how you approach a script when it lands into your hands. Actors with Experience Who Have Been Away from Acting for A While: This class offers you a fantastic opportunity to step back into the work that you wish to do in a supportive environment. It’s a great reminder of many tools and techniques that have been in your back pocket, but may feel a bit rusty. Experienced Actors: This class provides a wonderful opportunity to re-ground yourself in the basics of acting. It is those basics–one laid on top of the other–that create powerful acting. This work will give you the opportunity to slow down a bit and approach the art of acting through beginner’s mind, always on the path toward mastery. What makes Rhonda an amazing teacher is her ability to meet you where you are, connect and identify your needs in that moment-she does what every great teacher does, leads until you can take the lead with confidence. No matter what mood I am in when I arrive to a class or a session with Rhonda, I leave feeling like an artist that is back on the right course in the journey. Core Acting Techniques is currently on hiatus. © 2019 Art And Soul Acting. All Rights Reserved. Site by: Amanda Donnelly. 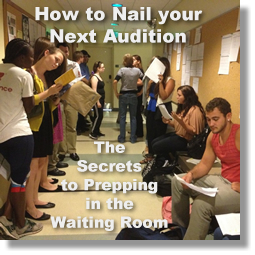 Listen and prepare as you wait to be called into the audition room.